It’s fitting to start the show in the place where it all began. In today’s Silicon Valley, one of the greatest things you can accomplish is to be a “Founder”. Well, I consider my Grandfather Isak to be the Founder of our family. This first of several “Roots” episodes draws on extensive interviews with my father, Igor. He is Isak’s son, and my primary source for this story. We trace Isak’s journey from a small shtetl – Slutsk – to his desperate escape from the ghetto, his experience in the war, and the first steps he takes towards rebuilding his life after the war. 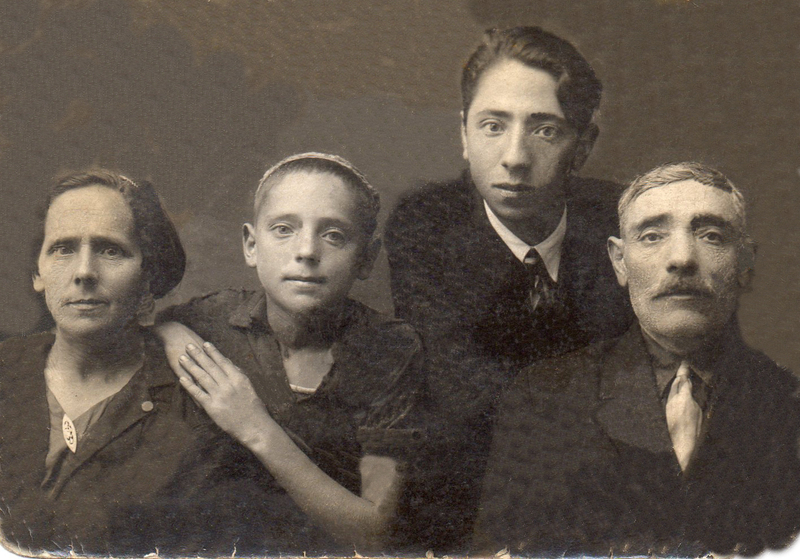 Pictured below are my grandfather as a youth, and his immediate family – his older brother Zalman (top right) and his parents. He looks to be about 10 years old in this photo, which means it was taken in the early-to-mid 1930’s. Take a look at this photo of my grandfather. He’s with my father and me in my studio in 2012, so he’s 89 years old there. It’s fascinating to compare the pictures, and also to examine the family resemblance.